Cilantro (also known as coriander) is an herb which has been used around the world for centuries. It is a well-known ingredient used in recipes from Spain, Mexico, Middle East and South America. Cilantro has an interesting history. Archeologists found coriander seeds in King Tut’s tomb. The Greeks used the essential oil of Cilantro for perfume. The Romans introduced Cilantro to the British who in turn brought Cilantro to the Americas in 1670. This week our family Sunday dinner took on a Cilantro theme. I will be posting the recipes from our Sunday dinner throughout the week along with more interesting tidbits about Cilantro. Rinse shrimp under cold running water. Pat dry with paper towels. In a nonreactive large frying pan, melt butter and olive oil over medium heat. Add chopped shallots and cook for 2-3 minutes, until softened. Add lime juice and cook 2-3 minutes (or until shrimp turns pink). Serve immediately (with crusty bread if you want). I’ve been a strictly salsa cilantro user long enough, that I think I need to broaden my cilantro horizons! I make my shrimp like this, but have never added lime or cilantro. I will be trying this very soon! 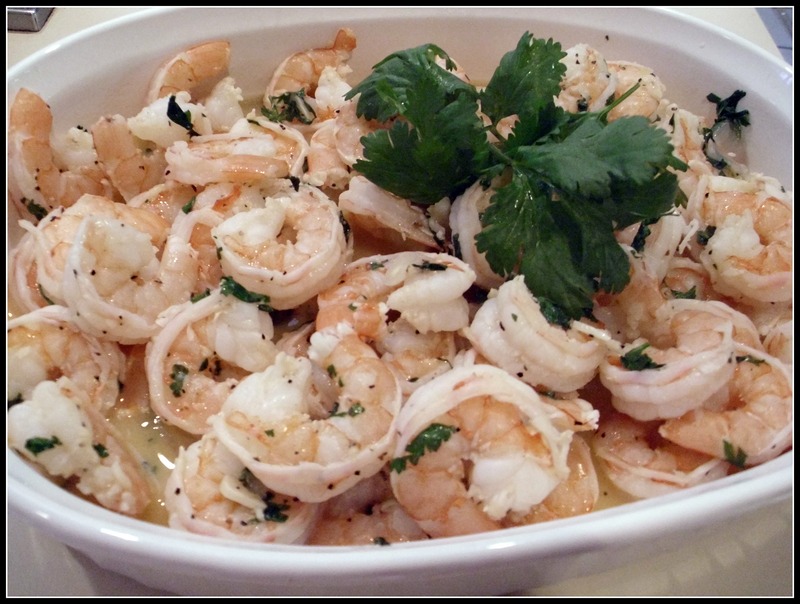 Yummy 🙂 love shrimp and flavors in your recipe are great! With Cilantro, it definitely wasn’t love at first bite for me. However, an American friend made his famous buritos with a cilantro and lime salsa and I’ve never looked back. I know I’m going to love your shrimp dish.